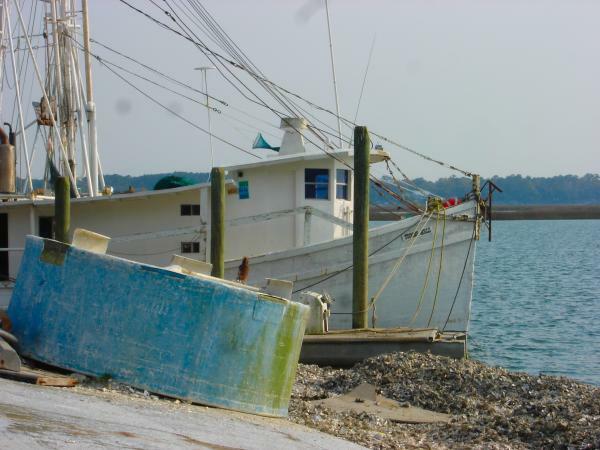 Daufuskie Island is a true gem in local heritage and culture. Tucked between Savannah and Hilton Head Island, access is only available by boat. There are several ways to get there even if you don’t have your own boat and I recommend you put a visit on your family “to do” list. Consider the Island Artisans and History Tour available through Outside Hilton Head. It focuses on the undeveloped part of the island and its unique treasures. To name a few, The Mary Fields School is where Pat Conroy had his first teaching experience that he shared with us in “The Water is Wide”. You can see the First African Baptist Church, the Bloody Point Lighthouse, and the Praise House. The Silver Dew Pottery and studios of local artisans are certain to please. Stop by The Iron Fish or one of the local bars for refreshment. Your tour will be led by a licensed captain and guide who will share with you the rich history of the Native Americans, European settlers, the Gullah people, and the locals who have chosen this remote lifestyle. Learn the story of the cotton trade – how it developed, flourished and later failed. While trips may vary, other points of interest may also be included. The Daufuskie Rum Distillery, The Daufuskie Museum and The White School may also be part of the tour. If you have rented a boat for the day or taken a water taxi with a flexible schedule, be sure to stop by Daufuskie Crab Company for a frosty beverage and soft-shell crab sandwich. Most weekends you can catch some live local music and a fabulous sunset too! At the end of the day, you are sure to have had a rewarding experience. Don’t be surprised if you find yourself planning your next visit. For tour information, go to www.outsidehiltonhead.com. Trips also include golf cart and light snack and can be available from several embarkation points. Bluffton, a State of Mind?